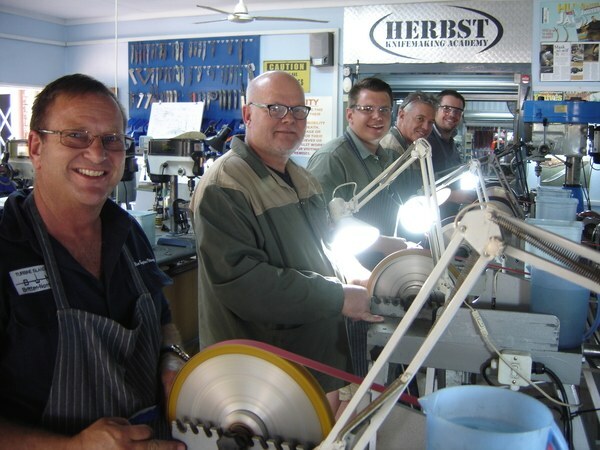 We are proud to introduce the HERBST KNIFE-MAKING ACADEMY, We are a father-and-son team who develops and promotes the art of handmade knives as a hobby or business. HERBST KNIFE-MAKING ACADEMY is located in the north of Pretoria, South-Africa, where knives are handcrafted by Gawie and Thinus Herbst. Gawie and Thinus both are award-winning members of the Knife-makers Guild of Southern Africa. They have received several awards for their outstanding designs and craftsmanship. All the designs and materials used in the production of HERBST knives are reflective of the uniquely rich South African environment. Not only do we make exceptional knives but we also have knife-making courses available that is completely, hands-on. One can choose between three different courses during which you will have the opportunity to learn how to design and make your own knife. These courses include a fixed-blade knife-making course, a basic folder knife-making course (slip-back) and a liner-lock folder knife-making course. We are very proud of our hands-on knife-making courses. During these courses we will guide you to make the knife of your dreams. We will supply you with the materials that you will need to make your own knife as well as a step-by-step manual. The courses teaches you the basic techniques of knife-making. Once you have mastered these techniques you can progress on to the more complicated knife-making skills. When you have completed the course you will be the proud owner of a handmade knife, etched with your name on the blade. Since a very young age Thinus was exposed to the art of knife-making by his father, Gawie. After completing high school he decided to join Gawie from whom he not only learned the basics of this art form but so much more. 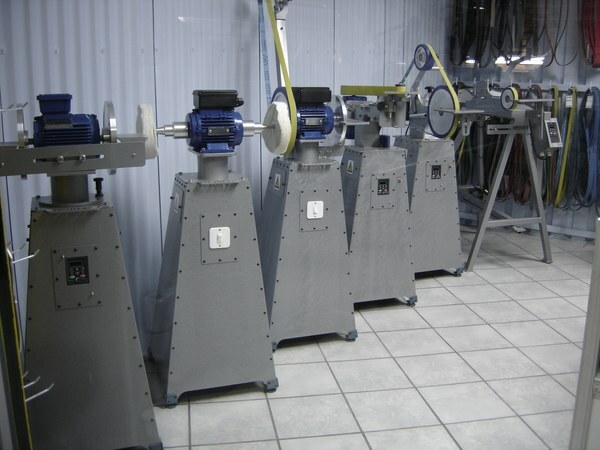 Together they built a well equipped, state of the art workshop from where they make products of a very high standard. His first breakthrough came when he won 3 first prizes during the annual Durban Easter Knife Show and he became a Guild member in 2001 where he won the Nick Grabe trophy for the best new knife-maker. After this Thinus blossomed into a talented art maker whose knives draw attention at every competition, exhibition and show that he entered. Thinus won numerous awards and prizes during the next several years. His specialization is fixed blades, folders, knife sets, art knives and swords. Thinus has a passion for 3D etch work done with acid on his blades and these knives are each truly a unique masterpiece. 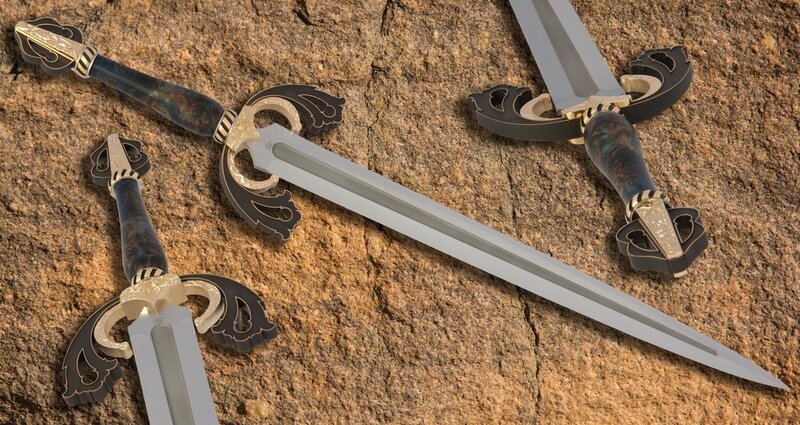 These knives are in demand by both national and international knife collectors. Photos and articles about his work have been published worldwide in magazines and books that include 500 Knives, Blade magazine, Knife Illustrated and the Knife-makers Annual Yearbook.